KITsubs: Kamen Rider Episode 15! Woops, sorry about that! 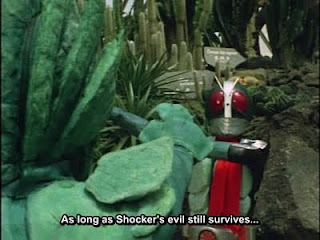 So, after a two week delay, we finally have the conclusion of Hayato Ichimonji/Kamen Rider 2's debut. The first delay was planned. The second one... not so much. We're back on track from now on. Thanks for all your hard work. I always wanted to see this series. Christmas in July: Double Sky Kick!